Interested in some summer reading? I’ve got bookcases packed with college books in my home office. 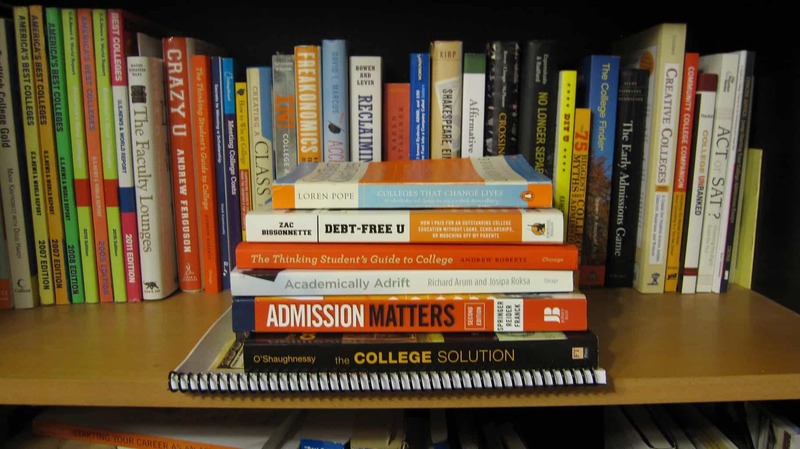 In this YouTube video, however, I share some of my favorite books about college. I’ll be giving the final college workshop this Saturday (July 23) in a summer series for parents and teenagers at the University of California, San Diego. If you’d like to attend the free workshop that will focus on selecting colleges just send me an email – Lynn@TheCollegeSolution.com. I’ll put you on the guest list and provide you with more details. Can You Hide Your Home Equity From a College?